Nancy Barker said: Love, love, love!!! 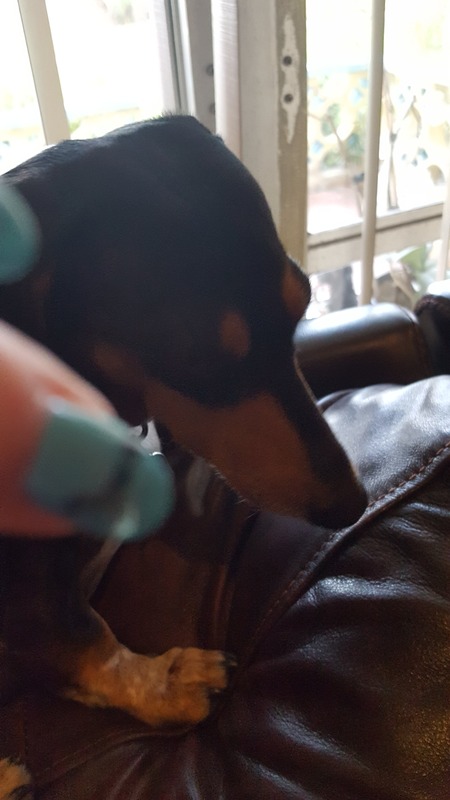 I really love the Daschund nail art that I ordered from you. So cute!!!! wife LOVE'S the fingernail stickers i got her, the step-daughters loves hers too, shared your site with the two of the so they can order more from you. Cute little decals to brighten up your nails. Rachel Davis said: So cute!!! These are so awesome!!! I highly recommend these to any one who loves dachshunds!!! I'm so beyond happy with the nail art. It's beautiful and I love it. EDITH JAMISON said: WE RECEIVED THE DACHSHUND, SHIH TZUS & PIT BULL DECALS. WE LOVE THEM ALL AND HAVE GOTTEN A LOT OF COMMENTS. WE TELL THEM WHERE TO GET THEM. awesome! would love to have them.